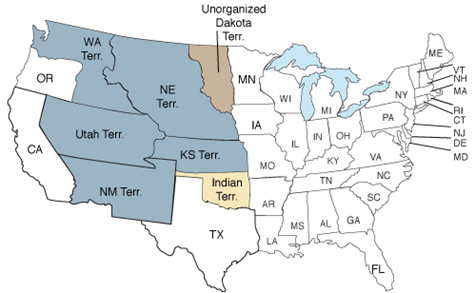 33 states participated in the 1860 census, including the new states of Minnesota and Oregon and the territories of Kansas, New Mexico, Nebraska, Utah, Washington, Indian and Unorganized Dakota. 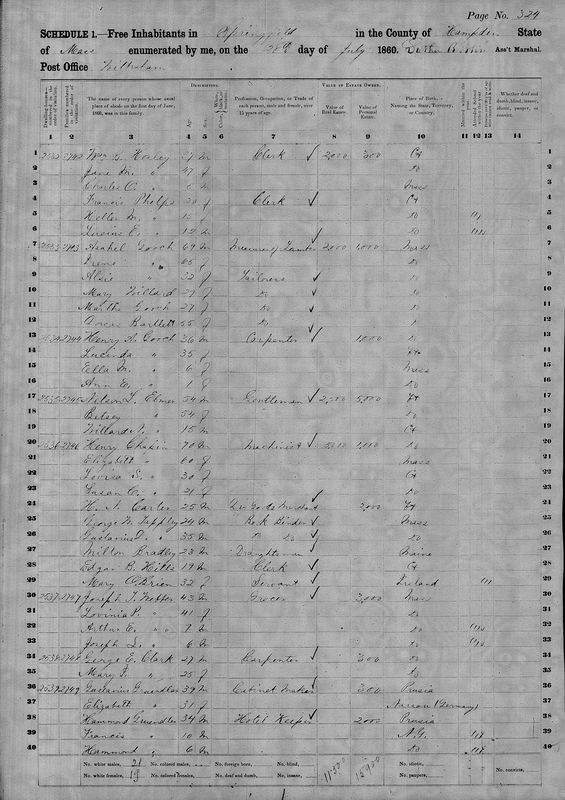 It took approximately $1,969,000 and 4,417 enumerators to complete the 1860 census, resulting in 3,189 total pages in published reports. The U.S. population increased by 35.6 percent from the 1850 census to the 1860 census. What was lost from the 1860 U.S. Census? 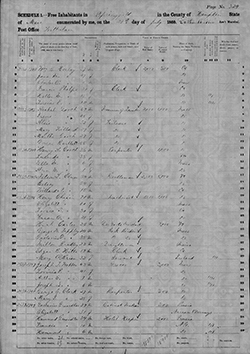 By the time the 1860 census data was collected for tabulation, the American Civil War had just begun, allowing census staff to only produce abbreviated reports. No major losses of records were suffered though. Due to the popularity of Game of Life, he launched the Milton Bradley Company in 1860 in Springfield, Massachusetts, and continued to produce games until his death in 1911. One of the longest running and most popular board games in history, players in the Game of Life journey through education, careers, marriage, children, insurance, retirement until each players meets “the day of reckoning,” otherwise known as death. Milton Bradley at the age of 23 in the 1860 Census. February 9, 1861: Jefferson Davis resigns from the Senate and becomes the provisional president of the Confederate States of America. January 1, 1863: Abraham Lincoln issues the Emancipation Proclamation, proclaiming the freedom of the 3.1 million slaves in the Confederacy. June 22, 1865: The last shot of the American Civil War is fired. The last Confederate general surrenders his troops on June 23, 1865.